My chi/pug mix Daisy has attended a few day cares in the area. I have nothing bad to say about any of them so far, but Bowhaus did impress me. Upon arrival, the owner spent time getting to know Daisy and me and he made sure that both of us were as comfortable as possible about trying out a new place. Everyone who works there is really friendly and shows real interest in me and my dog. The facility is nice and open, inside and out, so the dogs are free to socialize with whomever. My little one likes to play with the big dogs, so this works better than some of the more segregated and compartmentalized day cares. There is an area for small dogs to get away from the big dogs if they need to, but from my observations it looks like everyone gets along really well. The staff does a great job. 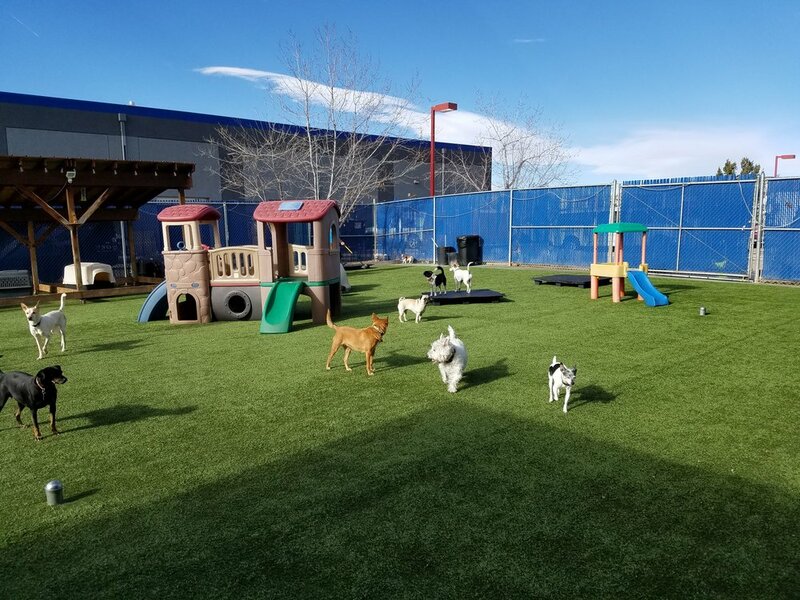 I’ve taken my 2 dogs to Bowhaus a few times now for both daycare and boarding, and every time we pass by they get really excited. I love that they have cameras hooked up to the internet so that I can watch them while I’m away. I’ve spoken with the manager, Aaron at length about various things and he seems to be a great guy that is great with dogs. My younger dog is a cattle dog who tends to not like strangers much, but she immediately liked and respected him. I trust her judgement more than my own sometimes :P.
They even do some basic training while they’re there, like sitting and waiting until the door opens to the play area. They just started using a new app too that sends me a text message with links to view a “report card” of their stay with a picture/video attachment of them having fun.